Mykonos is an island famous for its beautiful beaches, wild nightlife, and luxurious resorts. Greek is the official language and the winters are mild while the summers are hot and dry. There is a lot more to the island than just preening celebrities, dazzling sand and parties. Just start planning your trip and book a villa in Mykonos with a pool. Like every Greek island, Mykonos carries a certain charm that sets it apart from the rest. Wander the colourful streets and feel the vibrant energy of locals. Mykonos has something for everyone and read on to know some useful tips for the first time travellers. Whichever time you decide to visit, you are sure to fall in love with the breath-taking scenery, the food, and the atmosphere. The weather is perfect during spring, and this is the prime time to see Mykonos. June and September are the warmest months, and the water is perfect for swimming. Weather is still charming from May till October. There is a wide range of options when it comes to staying in Mykonos. You can stay at a villa or at a resort near Mykonos. The island is packed with guesthouses, restaurants, and hotels near the waterfront. The town is bustling with restaurants and cafes. You have two options as to where to stay, first, near the beach areas of Mykonos and second, right in the middle of the town where most of the action happens. Book your hotel before you go. The lodging expenses can start from 15 EUR per night for the cheap hostels, and the prices can go up to 30 EUR per night. A little pricier option can start for 50 EUR per night. While you can find cheap street food, eating can be expensive in Mykonos. Even a small dinner of just pasta can cost you 24 EUR! You can stick to local stretch food or cook your meals. As for the transport, you can rent a moped or scooter for 22 EUR. One can also travel by buses and hiring taxis can be expensive. Keep in mind that the holiday costs can go up during the summer. Also ensure you carry a small sized backpack as carry on luggage only. You don’t want to end up spending a lot on luggage costs if you are flying low cost airlines, your fare is almost double with a check-in bag. Check out some cool backpacks for Europe here and choose wisely. Mykonos is an ideal place to indulge your taste buds, and it is hard to keep away from the fresh fish and visions of tangy. The island will not disappoint you when it comes to food. Enjoy incredibly tasty and homemade pasta at Pasta Fresca Barkia. If you want to enjoy Greek lasagna- pastitsio, then La Casa is the perfect spot. Enjoy your extra buttery and delicious pastitsio and watch the life go by. There is a range of traditional Greek restaurants here where you can enjoy loukamades and delicious homemade ice cream. Try the fresh Greek yogurt in fresh strawberry flavor. Their Greek salad and tzatziki is simply delicious at Pepper. Mykonos is lined with cute boutiques and is fun to go shopping. Buy gifts for friends and family at Anamnesia that sells designs from local Greek artists. The shopping streets here are lined with fashion boutiques, art stores, and touristy shops. Check out Mavrogenous street for Greek designers and if looking for casual fashion, head for Little Venice. Rarity Gallery and Art & Soul are some of the quirky art galleries. Mykonos will keep you overwhelmed when it comes to fun-filled activities. It is the perfect blend of sea and sun, and there is plenty of swimming, sight-seeing, and dancing to keep you busy. Both beginners and advanced divers can explore the walls, caves, and wrecks and the most reputable beaches are Lia and Kalafatis beaches where you will also find famous diving centers. Visit the Unesco World Heritage site of sacred island of Delos which is a mythical birthplace of Aphrodite and Apollo. You can take the boat trips from the pier in Hora to reach the sacred island. As Mykonos has a hilly interior, there are plenty of backcountry roads, deserted beaches and tranquil villages, where one can enjoy mountain biking. Look for mountain-biking tours based on your skill level. Enjoy the fabulous free show on earth from prime spots for sunsets. Head for Agios Ioannis beach, Kato Mili or the bars of Little Venice in Hora. Mykonos doesn’t lack options when it comes to swimming, and one can take the plunge from infinity pools at leading resorts or explore the beautiful sandy beaches of the island. Try your hand at activities such as wakeboarding, flyboarding, and wakeskating. There are lessons for the beginners and guidance for the experts. Hire a boat to experience Mykonos from a distance. Discover hidden beaches and coves, and it is worth renting an ATV. Another right spot to watch the sunset from the windmills. 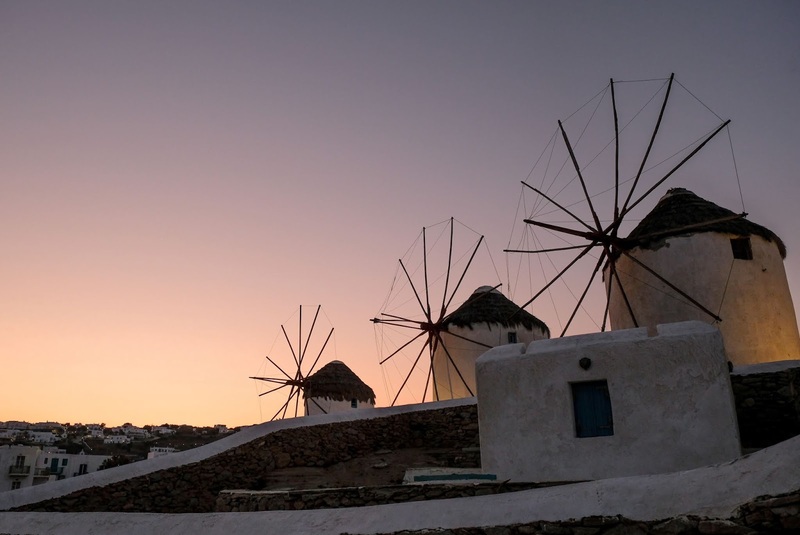 There are 16 windmills along the southern tip of Mykonos town. Just bring a blanket and get ready and cozy for the sunset. 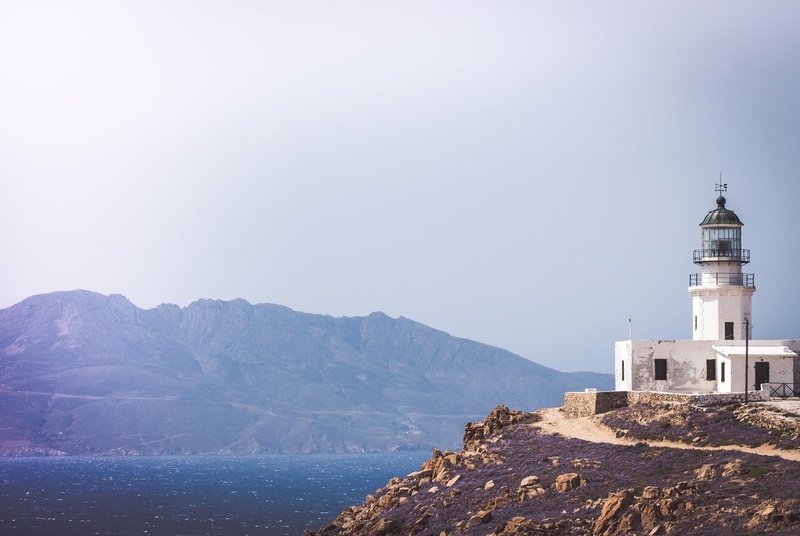 There plenty of museums in Mykonos and one can visit Folklore Museum, The Archaeological Museum, Agricultural Museum, and Lena’s House Museum& Boni Mill. If you are a diver, go for scuba diving around Mykonos. There are lots of fish, corals and even a few wrecks. Explore the Elia Beach that happens to be the longest stretch of white sands. You will love the transparent waters, and enjoy great food and drinks at tavernas and bars.